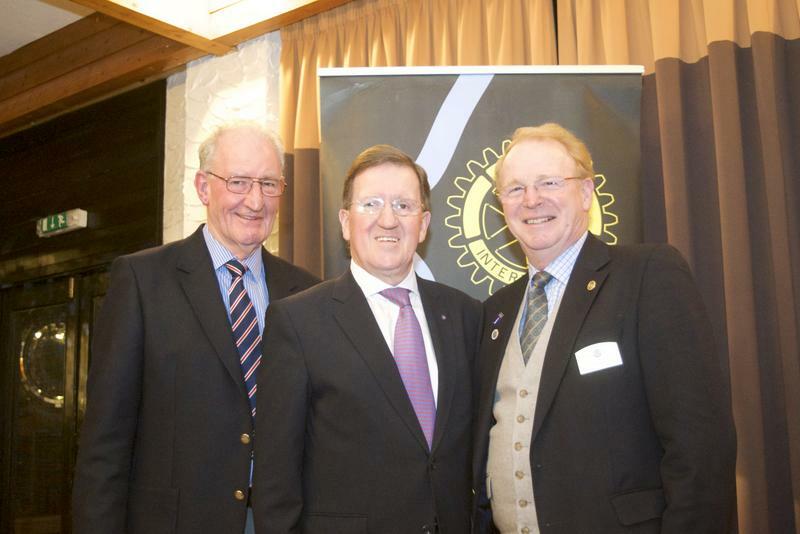 Members of Auchterarder Rotary Club were welcome guests to the Club on Thursday to hear Lord Robertson of Port Ellen speak on “The Challenges in Today’s World”. Given the title of his talk, the expectation was that there would not be a shortage of issues for him to address. Lord Robertson led into his talk by reflecting that when one is dealing with politics one should “expect the unexpected”. So, while thus alerted to be alive to the unexpected, there was genuine surprise when Lord Robertson declared that the focus of his talk would be in praise of President Donald Trump. What quickly became clear was that his supposed praise of Trump was, effectively, to be a backhanded compliment. The impact of Trump’s actions since coming to power, he insisted, have highlighted and emphasised for us the importance of the USA maintaining its leadership role in the world. We can, he said, see the negative consequences of Trump’s decisions to withdraw from tactical leadership in the Middle East, and the importance of the USA’s continuing involvement in transatlantic alliances such as NATO. Trump’s relationship with President Putin, where he has refused to criticize the Soviet leader, (and, indeed, other authoritarian leaders), demonstrates the need for a robust approach to infringements against the global order. Similarly, Trump’s insistence on “America First” breaches the accepted wisdom of the importance of international co-operation. There are, Lord Robertson insisted, no global problems that can be solved by the actions of one nation. International cooperation is essential in relation to, for example, climate change, the International Monetary Fund, NATO and the United Nations. Within the USA, Lord Robertson continued, Trump’s attacks on the media and free speech have also emphasised for us how important it is to defend these areas, and to protect society’s access to a range of opinions. One can see the importance of this in Russia and other authoritarian regimes where there is control of the media and, essentially, only one version of news promulgated. In an associated vein, Lord Robertson also identified Trump’s attacks on judges and the judicial system. These attacks, he insisted, serve to remind us of the need to ensure the primacy of freedom before the law, and the importance of maintaining an independent judiciary. Finally, he argued, Trump’s behaviour has illustrated for us the need for honesty in politics. 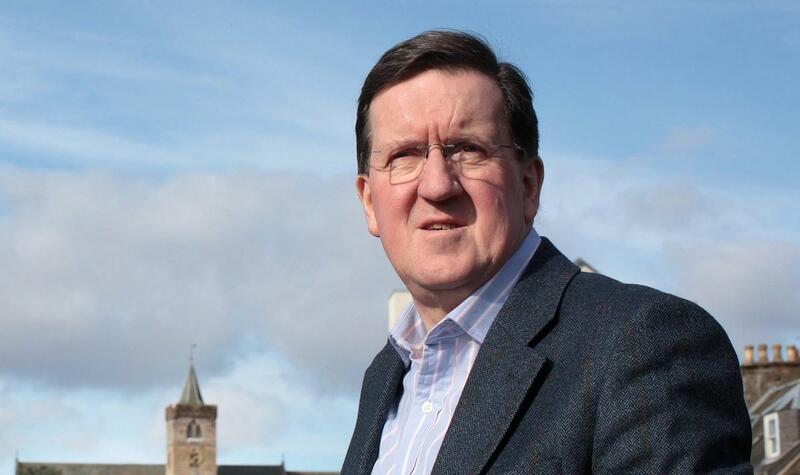 In all these instances, Lord Robertson summed up, the attitudes and actions of Trump have reminded us of the need to maintain effective international relationships capable of confronting and dealing with global issues; and, nationally, the need to uphold institutional probity, and to support basic human decencies which, ultimately, are the bedrock of a civilized society. Lord Robertson’s talk was warmly received. In responding to questions, Lord Robertson offered some comfort to those who thought, perhaps, that the future was unpromising. We are, he said, the most privileged generation the world has ever seen: there are fewer conflicts than at any previous time; the advent of global communications means we are better informed; and advances in health have increased life expectancy. At the same time, we have an obligation to address issues that could adversely affect the lives of future generations. Russell Wheater, Speaker’s Host, thanking Lord Robertson, said that he was sure that all present had found his talk illuminating in the way it addressed so many fundamental issues in such an authoritative way.